About a year later, he learned scientists wanted to name it for him. It turns out that the fish he spotted swimming at a depth of 7, 218 feet (2,200 meters) during an oceanographic expedition south of Easter Island was the first hagfish captured from a hydrothermal vent site. Morphological studies and genetic analyses confirmed what researchers had then suspected: The hagfish was a new species, and one of the deepest-dwelling of its kind. Suddenly, Strickrott felt not repulsed but nearly paternal about the 18-inch (45-centimeter) fish he withdrew from the depths. An article announcing the new species, by Peter Møller of the Zoological Museum of the University of Copenhagen and W. Joe Jones of the Monterey Bay Aquarium Research Institute (MBARI), was published in the February 2007 issue of the science journal Biological Bulletin. The naming initiates Strickrott into a unique fraternity of least a half-dozen pilots of the deep-sea submersible Alvin whose surnames are now intertwined with species of jellyfish, worms, nematodes, and slugs. Like explorers who name rivers and mountains for their dedicated guides, grateful biologists occasionally christen newly discovered species for the pilots who have safely and skillfully navigated them around ocean depths. The 2-inch (5-centimeter) -long ctenophore Bathocyroe fosteri was named for Alvin pilot Dudley Foster, who collected the first specimens in 1978 from the Atlantic Ocean. Paul Tibbetts, the pilot who in 1988 captured a new type of mussel in the Pacific, was acknowledged when biologists named the shelled mollusk Punctabyssia tibbettsi. 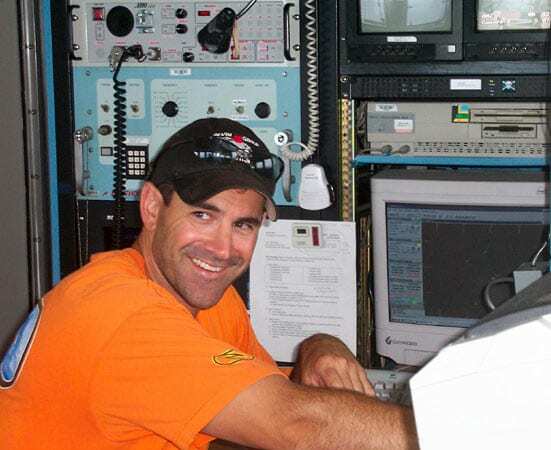 “Without Alvin pilots, many oceanographers could not get their jobs done, and we want to recognize the commitment of these dedicated people,” said Jones, a genetics specialist at MBARI who was in Alvin with Strickrott during the hagfish’s capture. 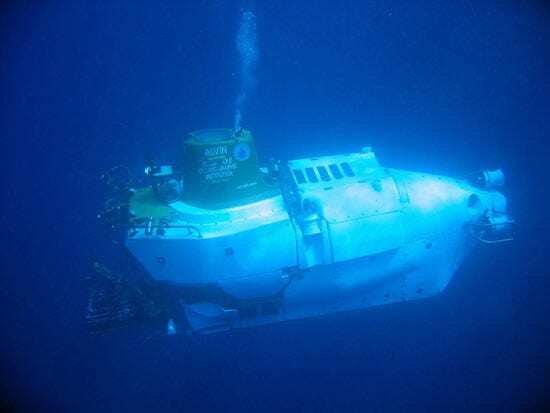 It was Alvin’s first trip that far south in the Pacific in its 40-year career, said Rick Chandler, a submersible operations coordinator with the Alvin group at WHOI—which might help explain why both the crab and hagfish had not been identified before. 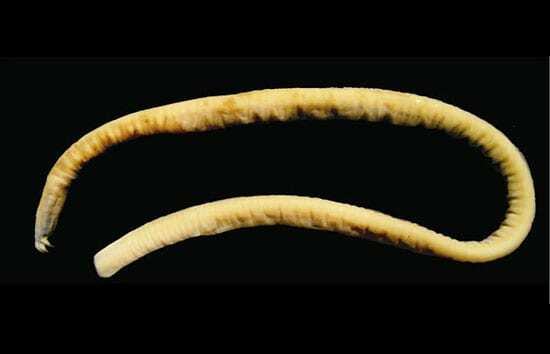 Nearly two years after its capture, scientists are still determining basic information about Eptatretus strickrotti—including its gender, how it can physically survive at such extreme depths, and what it eats. Unlike most hagfish, found feeding on rotting tissue of sunken, dead animals like whales, this hagfish was found swimming alone, about 3 feet (1 meter) above freshly expelled seafloor basalt. The 2005 Easter Microplate Cruise was supported by the National Science Foundation.